The creative process is different for all individuals. For me, I’m always jotting down names and ideas for shaving soaps some of them never see the light of day and others go into production. 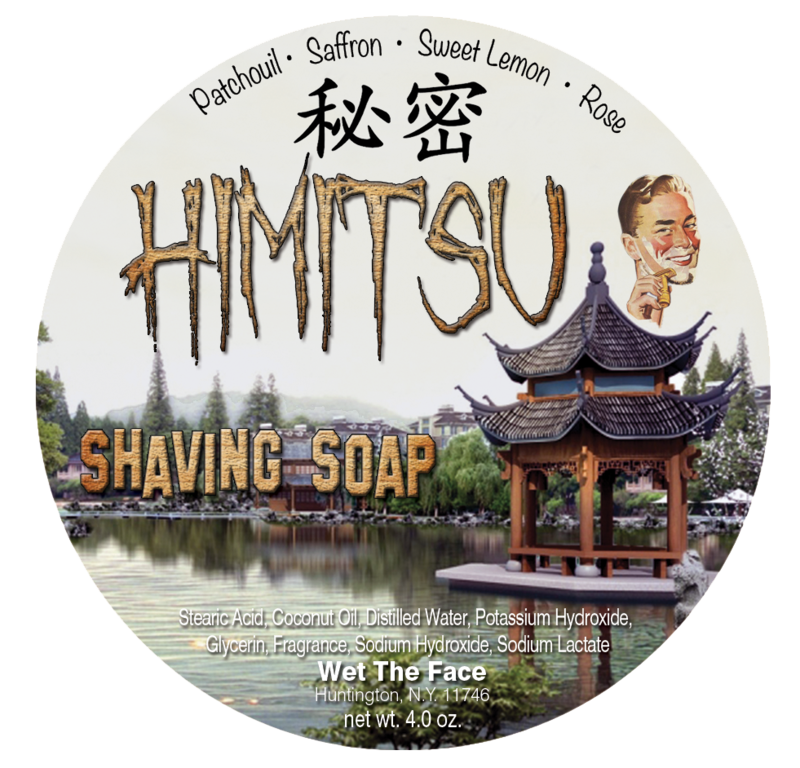 Recently I released three new shaving soaps into my product line and they are Taboo, The Quiet Man, and Himitsu which is what this review will be about. Himitsu means secret and the secret to this soap is getting the right combination of the oils to work together not letting one overpower the other. Each oil used could be a standalone scent but getting them to work together that’s the secret. Almost all of wet the face shaving soaps come in a 4oz tub with a screw on lid. The waterproof label has the design of a temple in Japan surrounded by a Koi pond garden lake where I could imagine many would go and meditate. I would like to think this is where the creation of the soap took place and not my kitchen in Huntington. The scent is just fantastic a combination of patchouli and saffron with an added touch of sweet lemon and rose for an evocative and earthy scent. Not as heavy as straight up patchouli, it's made lighter with the addition of the saffron and made sweeter with the lemon and rose. This secret blend was created with just the right amount of each. Whether you face or bowl lather like me you’ll have no problem making an incredible amount. It took me just a little over a minute to create a mound of it on my brush. When applying the lather, I had no issues it got right into my beard and held on throw-out the shave. The slickness and glide where perfect allowing me to go to trouble spots without irritation. The post shave feel was one for the books. So, I had a great shave with Himitsu and the scent is starting to become one of my personal favorites. I’m working on the aftershave and it should be available soon.